Here I've talked about a few apps people should download if they suffer from allergies. When was the last time you went a few months without your allergies flaring up? Hopefully your life isn't so bad, but some people aren't as lucky. No matter what you suffer from it can stop you from living life to the full. The only way you'll be able to have some normality is if you get everything under control. You don't need to do it on your own because there are tools to help you. Check out some of these cool apps anyone will allergies should download. If you suffer from allergies it's bad enough, but when you don't know what is making you feel bad it's even worse. 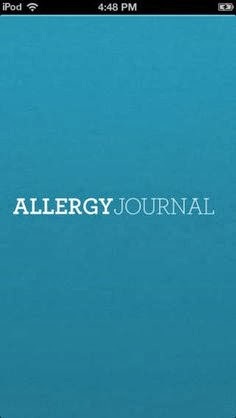 Allergy Journal is designed to help you track and analyze everything so you can figure out what exactly to avoid. Sometimes you don't feel bad straight after you come into contact with something, so how are you supposed to figure things out without a little help? Once you finally get to the bottom of it you'll know how to fight your problems. Just because you should be taking medication for your allergies it doesn't mean you'll remember. Once you forget a few too many times you'll end up in a very uncomfortable situation. 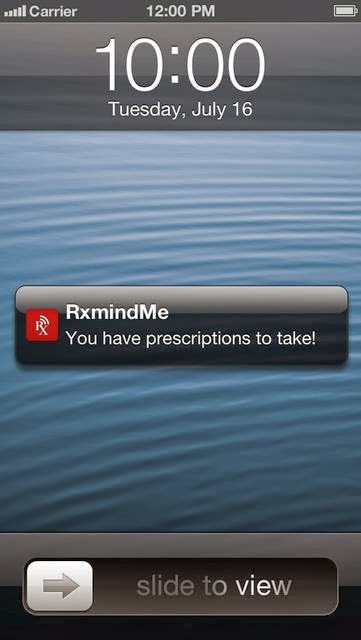 RxmindMe Prescription won't let you forget to take your medication. It will tell you when to take it and it will also tell you when you need a refill. You can program it to look after more than one person in case there is more than one person in your family who suffers from allergies. Before you go outside in the morning you'll want to know the quality of the air so you don't run into any problems. 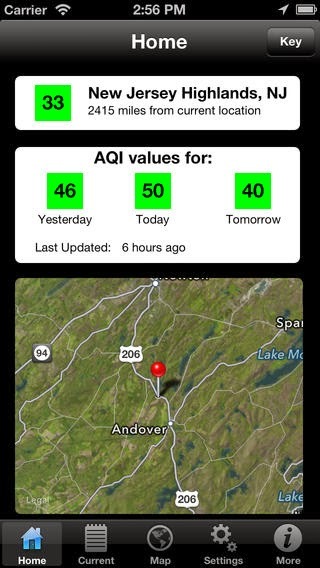 If you download the Air Quality Pro app you'll be given some great information about what to expect outside. You will know the air quality on any specific day, but it can also forecast the quality of the air for the following day too. Even if you're traveling around you'll be able to monitor the air quality in multiple cities around the US. Food allergies can hold you back because there might be tasty treats you won't get to enjoy, but at least you can stay safe if you avoid any foods you're allergic too. Cook IT Allergy Free will give you great recipes to use and it will replace the foods you're allergic to with substitutions. 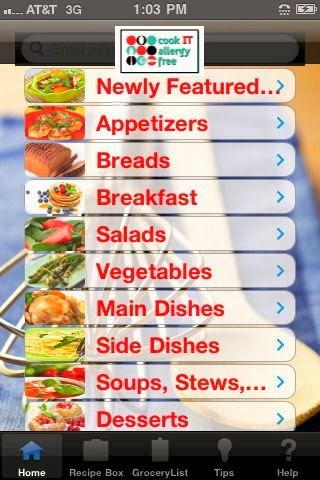 There are hundreds of recipes inside the app and you'll find a few you love. Hopefully you're only allergic to a few unimportant things so you don't need help cooking, but if you're allergic to things like gluten or dairy you might need new ideas. Allergy Alert is another great app that will help you stay up-to-date with the air quality and it's actually owned by Pollen.com. The information you get will be great because they're the nation's leading allergy and pollen forecaster. If you're suffering from other problems the app could help you with those too. If you have asthma you'll find the asthma index useful. 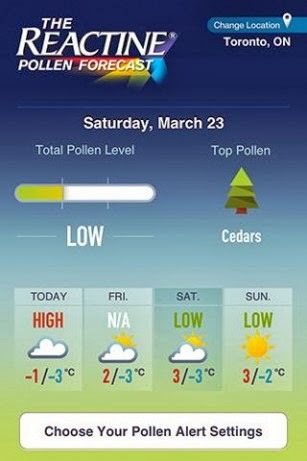 Anyone who suffers from allergies of any kind should definitely have the app in their arsenal. You don't have to do everything on your own anymore. Can you honestly say you've never forgot to take your allergy medication? Have you found yourself eating the same things because you don't know how to cook anything a little tastier? If you think any of the apps would be useful you should test them out and you'll wonder why you didn't start using them earlier. Today’s contributor, Genevive Serrao, is a freelance blogger and is currently writing for Freedom Lift Systems, reputable installers of platform lifts for wheelchairs. Genevive is a culinary enthusiast and specializes in Mexican cuisine. You can get in touch with her on Twitter @SerraoGen.